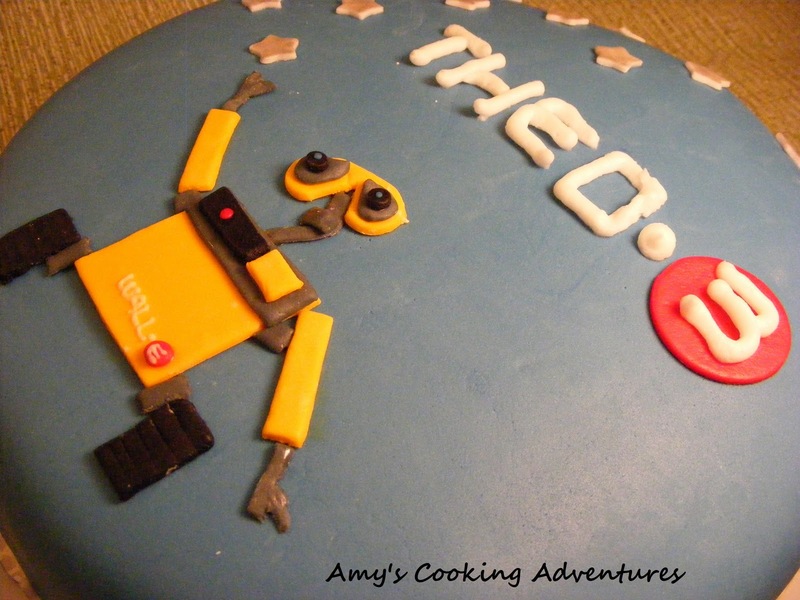 This post originally appeared on my first blog, Amy's Cooking Adventures, in January 2011. 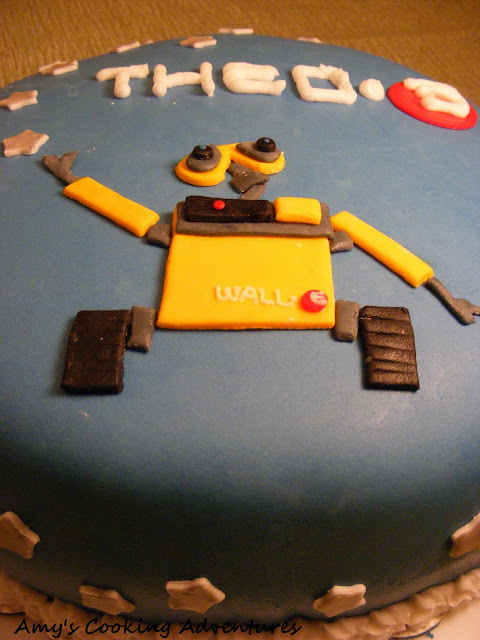 I made this cake 2 years ago for my older son's 3rd birthday. 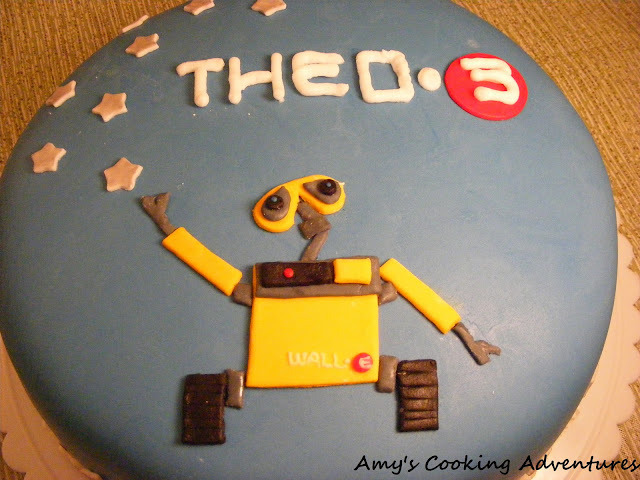 At the time, he watched the movie Wall-e nearly everyday so I knew he'd love a Wall-e themed cake. Place all ingredients in the bowl of a stand mixer. Blend on low until ingredients are combined, about one minute. Scrape the side of the bowl and beat on medium for 2 minutes. Pour batter into the prepared pans. Bake at 325 for 30-35 minutes. If needed, continue baking at 5 minutes increments until a toothpick inserted into the center of the cake comes out clean. Yield: 6 ½ cup of batter or two full 9-inch pans. Oh my goodness, how cute is that cake?! This is super cute! Thanks for sharing on Foodie Friends Friday.